I don’t remember how I ran across this recipe, but the minute I saw it I knew I had to make it ASAP. 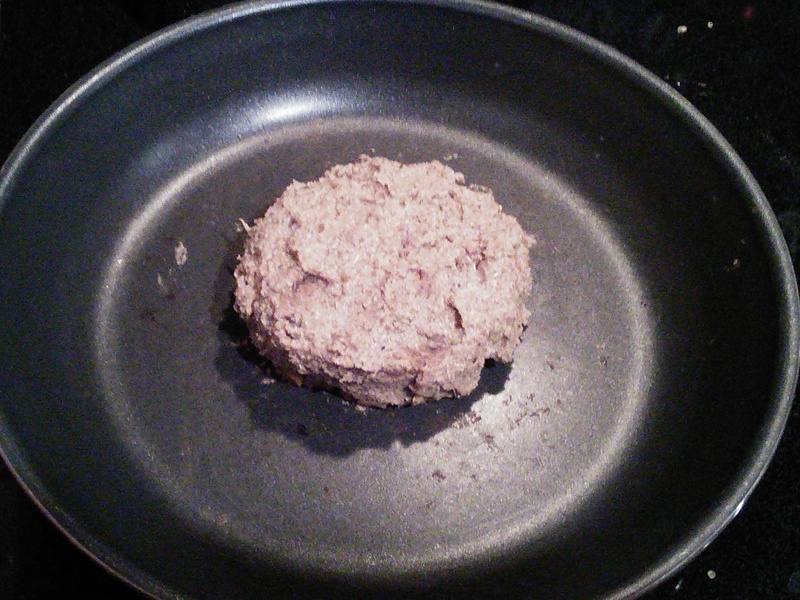 This hoisin black bean burger from onegreenplanet.org is sooo good. It’s involved to make (and takes awhile with refrigerating) but it’s worth it if you’re treating yourself. Be forewarned that the consistency of this burger is not very burger-y. It’s a bit squishy. I’m going to experiment with adding quick oats to the mix, or completely replacing the quinoa with oats. Notes: I’ve tried cooking these burgers in a couple different ways and they always seem to come out a little squishy on the inside. Adding a half cup of quick oats may help solidify the burgers more. Start cooking the quinoa according to package directions. Roughly chop all the veggies. Saute the veggies (using water, veg. broth will change the flavor a bit) until they are soft. While you are letting these two cook, mix the sauce ingredients and put it in the fridge until you’re ready to make the sandwiches. Add half the can of beans (rinsed) to the veggies and cook for about 8 minutes, until everything is completely heated through. 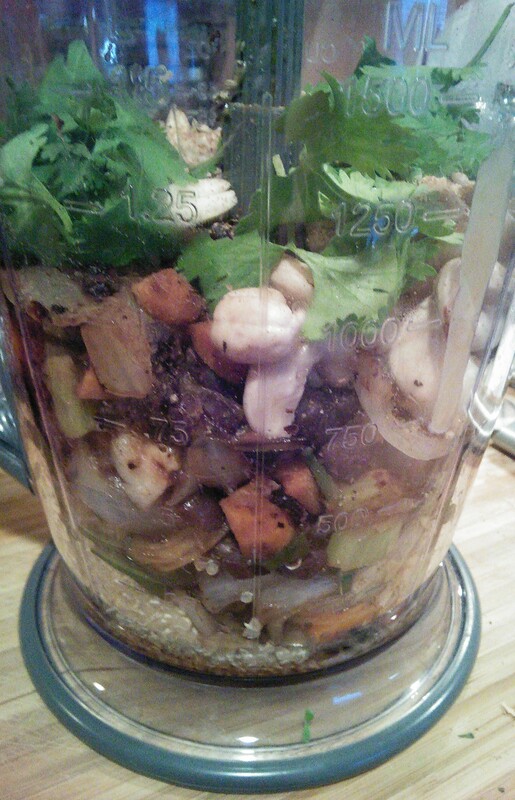 In a blender, mix the veggie/bean mix, 1 cup of cooked quinoa, peanut butter, tamari, 1 tbs. hoisin, cashews, all seasonings, and cilantro. Put the blended mix in a large bowl. 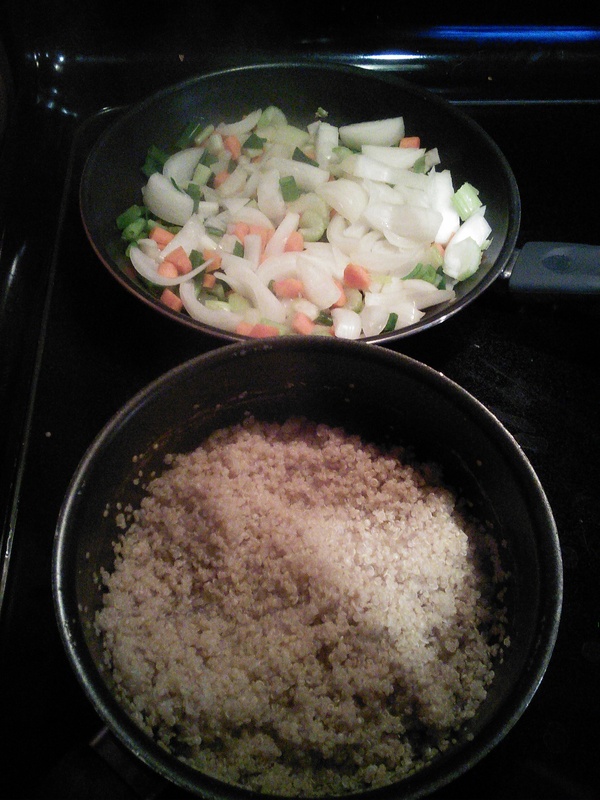 Add the remaining beans and ½ cup of cooked quinoa. 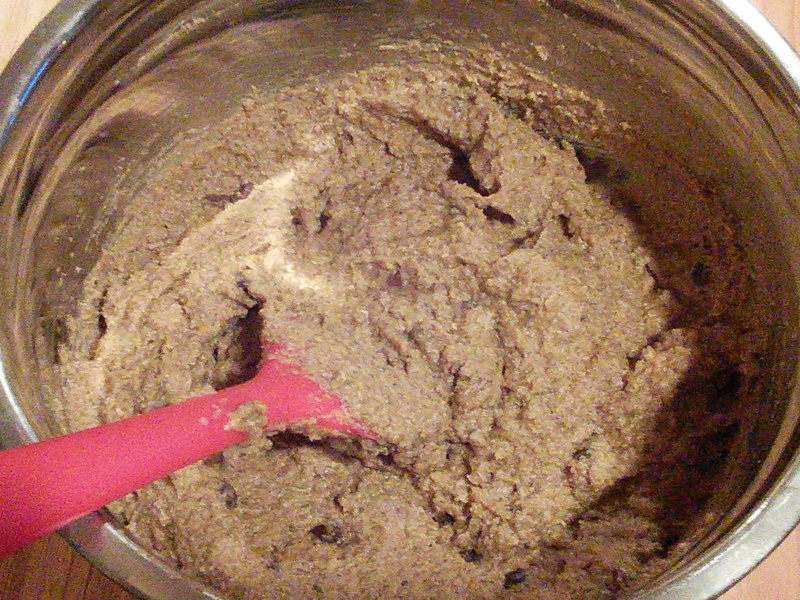 Refrigerate the mix for at least 45 minutes to solidify it enough to make patties. 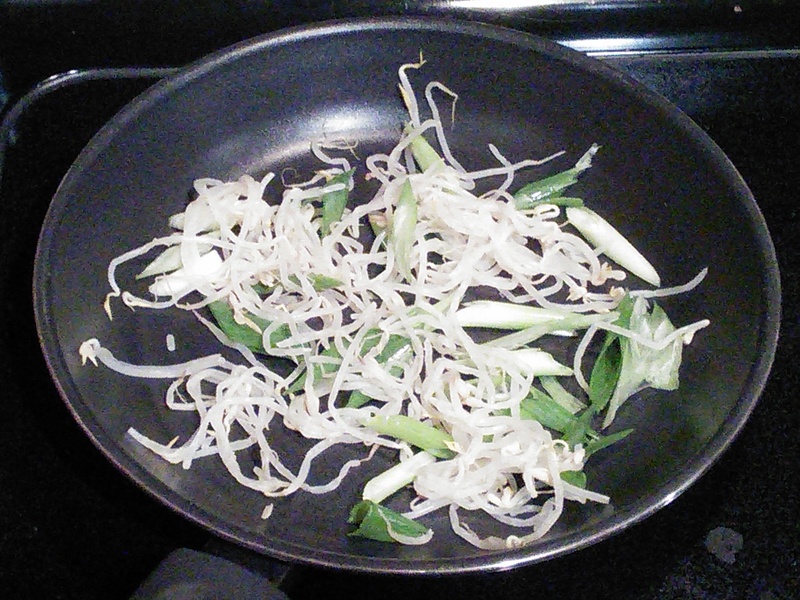 While waiting on the burger mix, chop up the extra green onions and add it to a pan with the bean sprouts. Saute with water and cook just long enough to slightly brown the green onion. When it’s done, set it off to the side to top the burgers with later. When the burger mix is chilled enough, make patties. There are two ways to cook this: in a skillet or in the oven. If you cook these in a skillet, form the patty and cook on each side for about 6 minutes over medium-high heat. Brush with the hoisin sauce on both sides and cook for an extra minute to caramelize the sauce. The first two patties I made I cooked in a skillet, but the results were not good. The sides of the patties never browned but the top/bottom were burning. Pictures below so you know what it looks like. In the second picture the top looks browned but that’s just caramelized hoisin sauce. When I tried to eat these on bread they squished everywhere. I recommend using the oven instead. To cook these in the oven, put the burgers on a cookie sheet (no parchment paper necessary) and cook them in the oven at 450º for 8-10 minutes. Take them out, brush hoisin sauce over the top of each patty, put them back in the oven and broil for 3 minutes. Allow them to cool on the pan for 5-10 minutes so they hold their shape. 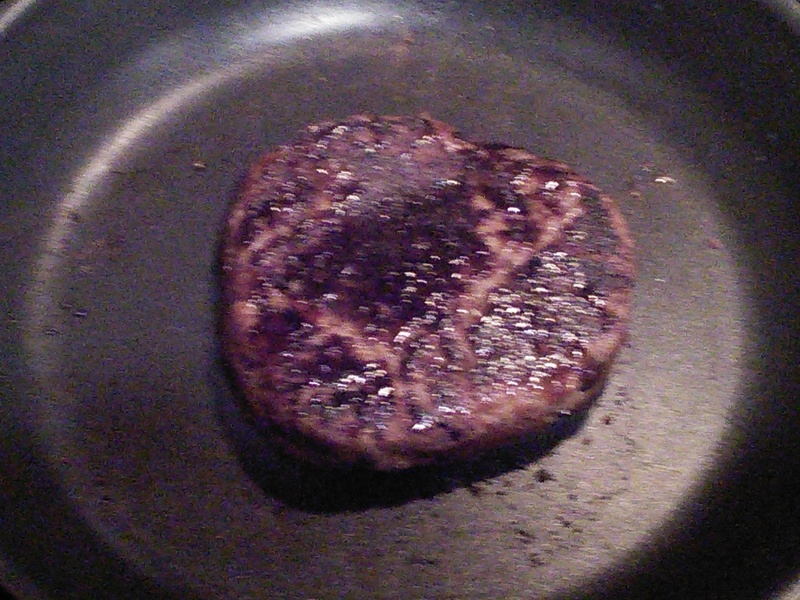 The burger is still a bit squishy (if you follow the original recipe), but it holds up much better being cooked in the oven. When the burgers have cooled slightly, you’re ready to eat! 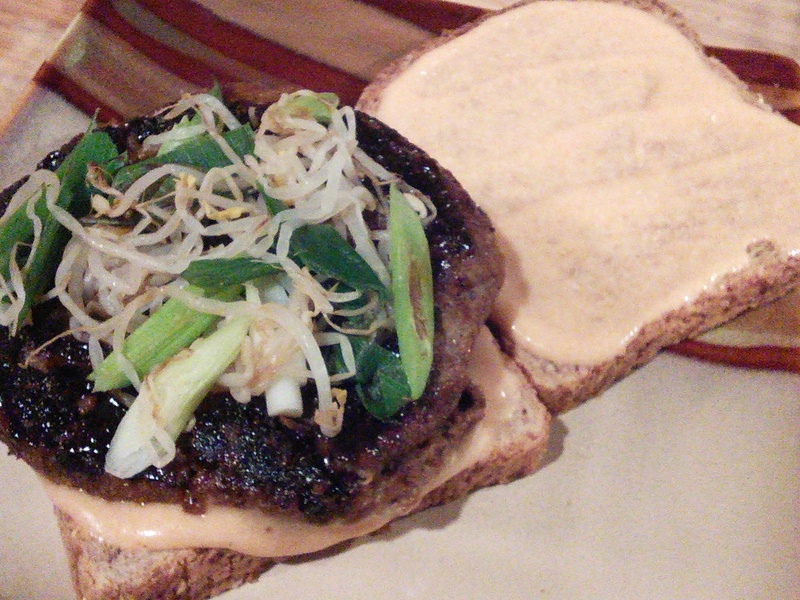 Slather your buns/bread slices with the spicy mayo and toss the bean sprouts/green onions on the burger. Done! Poor me, I didn’t have any whole wheat oil-free burger buns to use so I had to settle for Ezekiel bread slices!